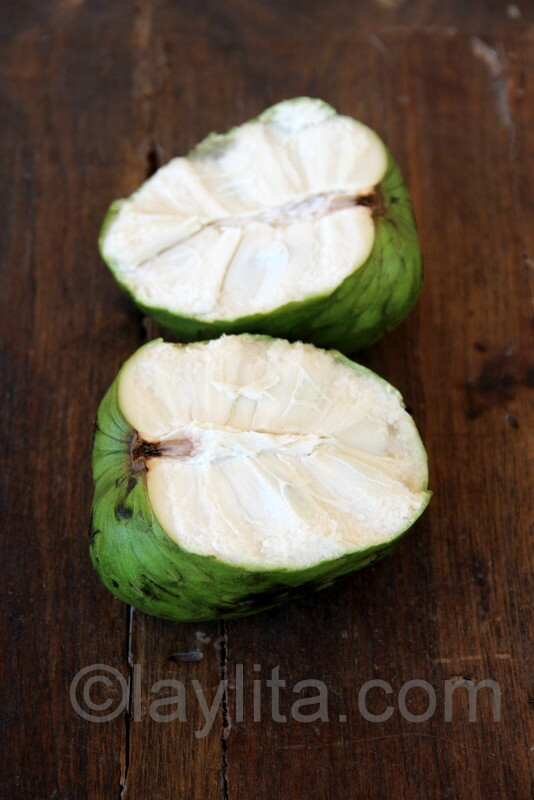 Chirimoya or cherimoya, also known as custard apple or sugar apple in English, is a delicious fruit from South America. 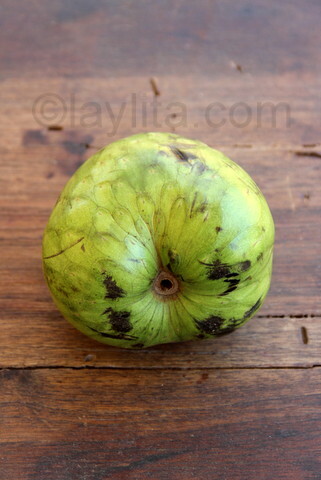 It has a thin green skin, which is very soft when it’s ripe, and a pulpy white flesh, with large seeds that you remove. 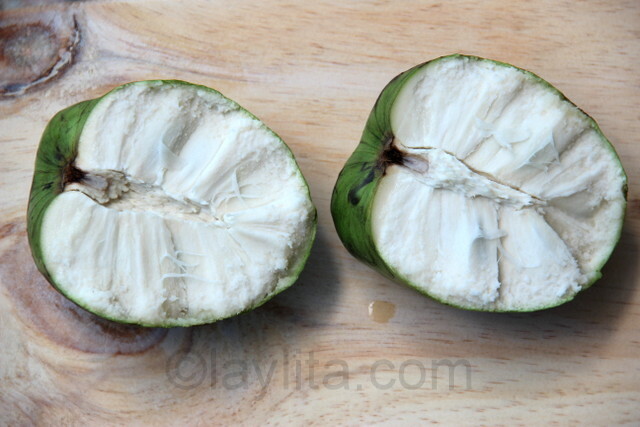 We had several cherimoya trees growing on our farm when I was growing up. 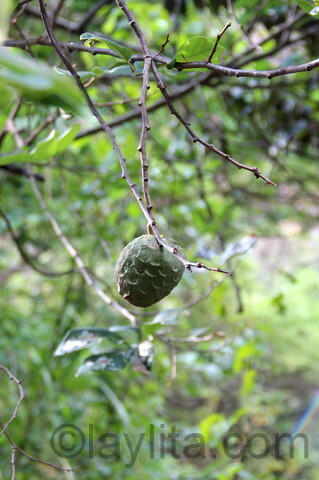 It’s a very easy tree to climb, so we always had a lot of fruit around during cherimoya season. Chirimoya, like many other Ecuadorian fruits, is a great fruit to just eat on its own, it doesn’t really need anything else. It can be used to make desserts like ice cream, mousse, pies, and more. The chirimoya looks very similar to another well-known fruit called guanabana or soursop, the main differences are the guanabanas are longer and have pointy bumps. 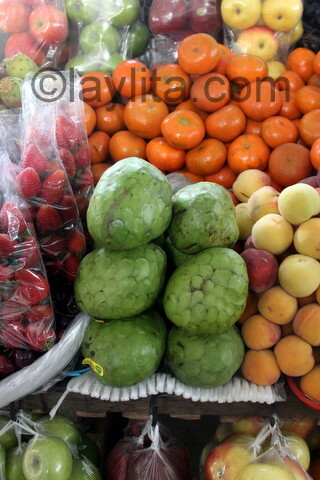 Guanabana also has a sour flavor while cherimoyas are very sweet. In the US, cherimoyas are grown in California and I have seen them at some of the grocery stores in the Seattle area (including Uwajimaya and Whole Foods) – however they are extremely expensive here at close to $10 per pound.